By Moderator_02, April 15 in Conservation, Recycling, Clean-Up Programs, Reforestation, etc. 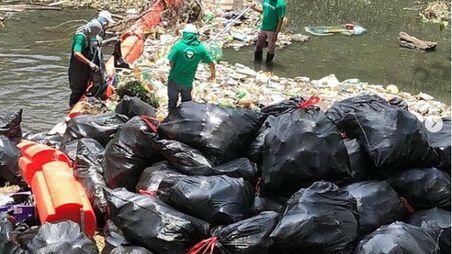 The Marea Verde (Green Wave) organization has filled 300 jumbo-sized bags with garbage trapped by BOB, a floating barrier installed in the Matías Hernández River that prevents waste from reaching the sea. The floating barrier can be replicated in other rivers of the capital city and the interior of the country. Watemberg says that BOB (Trash Barrier) cost close to $30,000 plus the cost value of installation, maintenance and operation. The BOB has a security lock on the top side, which will break if it exceeds 12,000 pounds, to avoid flooding or any damage to the equipment. People who want to participate in the projects and activities of this NGO can follow it on social networks like Green Tide. The organization coordinates its actions with several state entities, as well as garbage collection with the Urban and Domiciliary Cleaning Authority (AAUD).